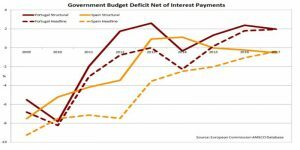 Francesco Saraceno | Last week the Council decided that Spain and Portugal’s recent efforts to reduce deficit were not enough. 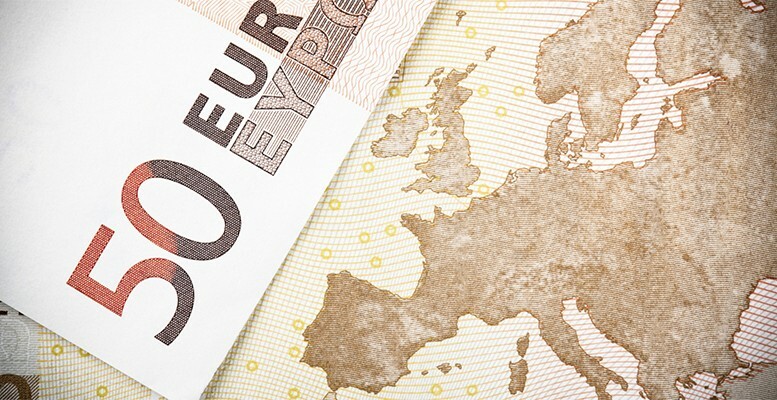 This lead to the two countries being fined, the first time this happens since the inception of the euro. 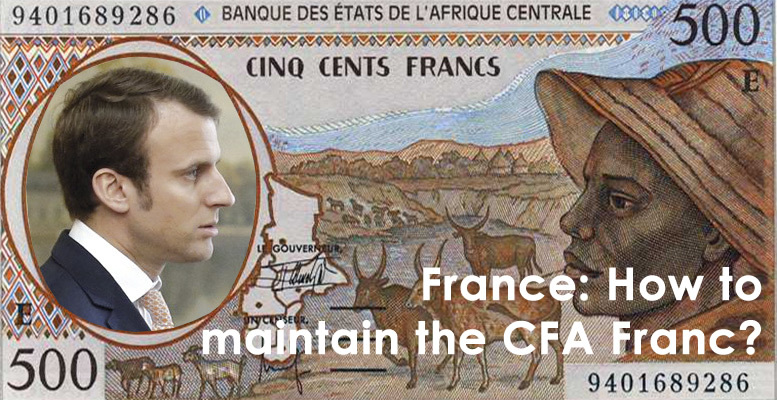 The fine will be symbolic, given the current macroeconomic situation, since mposing a further burden on the public finances of these two any country would be crazy. Yet, the decision is in my opinion enraging. First, for political reasons: Our world is crumbling. The level of confidence in political elites is at record low levels, and as the Brexit case shows, this fuels disintegration forces. It is hard not to see a link between these processes and, in Europe, the dismal political and economic performances we managed to put together in the last decade (you are free pick your example, I will pick the refugee crisis (mis) management, and the austerity-induced double-dip recession). What is even more enraging, is that not only this effort was not recognized as remarkable by EU authorities. But what is more, it was harmful for these economies (and for the Eurozone at large). 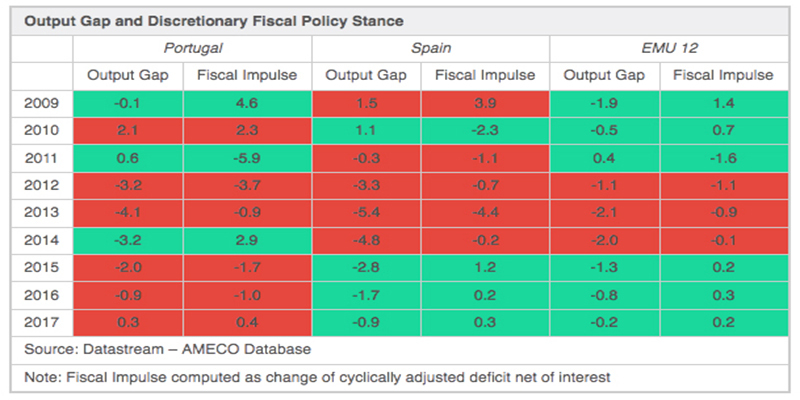 In the following table I have put side by side the output gaps and fiscal impulse, the best measure of discretionary policy changes. 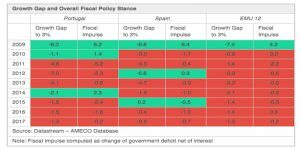 I have highlighted in green all the years in which the fiscal stance was countercyclical, meaning that a negative (positive) output gap triggered a more expansionary (contractionary) fiscal stance. 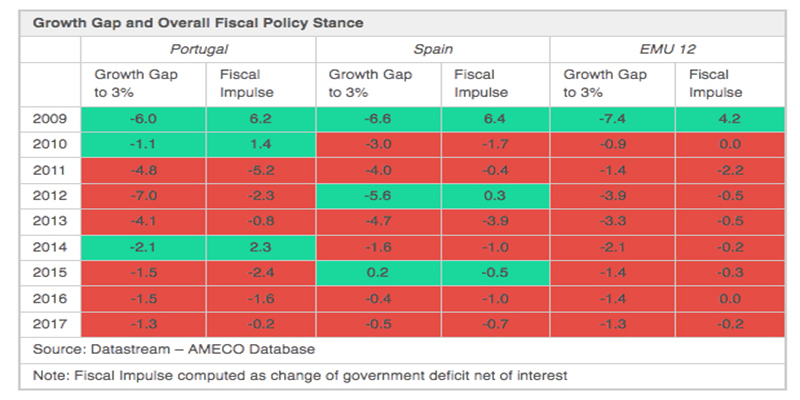 And in red cases in which the fiscal stance was procyclical, i.e. in which it made matters worse. The reader will judge by himself. Just two remarks linked to the fines put in place. First, the Portuguese fiscal contraction of 2015-2016 is procyclical, as the output gap was and still is negative. 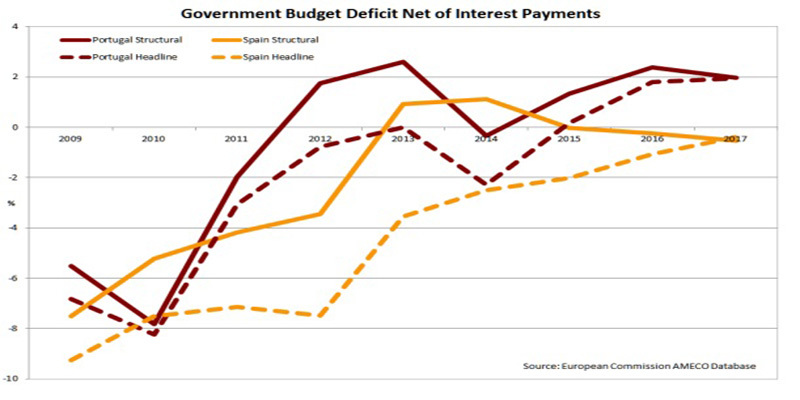 On the other hand, Spain has increased its structural deficit, but it had excellent reasons to do so. Lot’s of red, isn’t it? 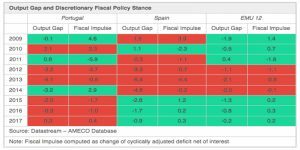 Faced with a structural growth deficit, the EMU at large, as well as Spain and Portugal, has had an excessively restrictive fiscal stance. I know, no real big news here. 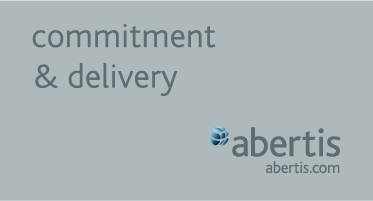 To summarize, the decision to fine Portugal and Spain is politically ill-timed and clumsy. And it is economically unwarranted. And yet, here we are, discussing it. My generation grew up thinking that When The World Is Running Down, You Make The Best of What’s Still Around. In Brussels, no matter how bad things get, it is business as usual.